IN REINCARNATION OR PAST LIVES? The vast majority of the world’s population believes in reincarnation and only in the last few hundred years, with the rise of the physical sciences, did a strictly materialistic view begin to eclipse the spiritual. More recently, the traditional definition of reincarnation has been altered from its original meaning. The word has come to mean “to be born again in different life forms” (such as an animal, an insect, etc.) whereas its actual definition is “to be born again into the flesh or into another body.” So what is commonly thought of as reincarnation is a definite system and is not part of Scientology. Rather, the Church ascribes to the latter, original definition. Today in Scientology, many people have certainty that they have lived lives prior to their current one. These are referred to as past lives, not as reincarnation. Past lives is not a dogma in Scientology, but generally Scientologists, during their auditing, experience a past life and then know for themselves that they have lived before. To believe one had a physical or other existence prior to the identity of the current body is not a new concept—but it is an exciting one. It is a fact that unless one begins to handle aberration built up in past lives, he doesn’t progress. In Scientology, one is given the tools to handle upsets and aberrations from past lives that adversely affect the individual in the present, thus freeing one to live a much happier life. Does Scientology believe one can exist outside of the body? Does Scientology believe in charity and welfare? How does one know that they are a spirit? Does Scientology have a concept of God? Can’t God be the only one to help Man? What are Scientology religious beliefs about the creation of the universe? Does Scientology believe in brotherly love? Why do Scientologists want to help people? Does Scientology recognize good and evil? 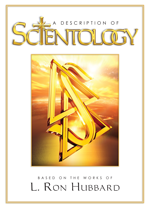 Does Scientology believe Man is sinful? Will Scientology put one in control of his mind? 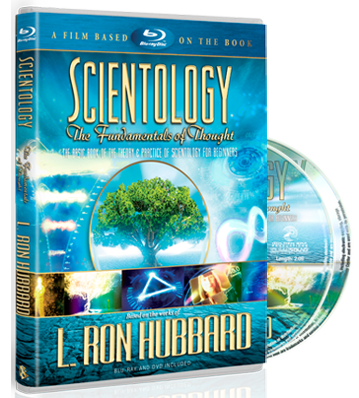 Is Scientology about the mind? Does Scientology believe in mind over matter? Does Scientology believe in reincarnation or past lives? Does Scientology hold any political views? Can children participate in Scientology? How? What does Scientology say about the raising of children? Can one make up his own mind about Scientology? Does Scientology have doctrines concerning Heaven or Hell? What is Scientology’s view of Moses, Jesus, Muhammad, the Buddha and other religious figures of the past?